I M PA C T HHP is an international distributor, designer, and developer of indigenously and locally sourced fair-trade practice products, available with corporate branding at volume pricing, for B2B, wholesale, consumer, and intermediary sales. We are a non-profit with a mission to create jobs for people with barriers to employment. Every single purchase makes a tangible difference for generations. • Insert card explaining HHP and our producing partners’ missions Easy to take on sales calls to show your customers the high quality of our products. HHP Gift Card We offer branded virtual or physical cards at a large discount that allow companies to give back while giving to employees and customers at the same time. Unique and customizable, it’s a wonderful addition to any assortment. The gift card allows the recipient full flexibility to choose from any of HHP’s stylish and unique products. And, it enhances a company’s reputation by offering HHP’s Gift Card for Good alongside our other socially responsible products. Companies understand that Doing Good is Good For BusinessTM and this gift card demonstrates their commitment to corporate social responsibility. Call for pricing. CAMBODIA Founded by two adventurous Italian women, one a fashion accessories designer, the other a marketing specialist, one of our partners in Cambodia provides their artisans with sustainable livelihoods and economic independence. They defy convention by using unusual and recycled materials whenever possible to craft innovative and fashionable, Italian designed bags and accessories. Their unique materials include fishing and construction netting, vegan leather, and luxe leather scraps from a leather furniture factory, and recycled plastic bags. The result is a water resistant, virtually indestructible, cool and unique line of bags and accessories. That’s not all that’s sustainable. Priority is given to the employment of women and mothers and an onsite preschool and daycare facility is there for their children. They enjoy sustainable livelihoods, healthcare, professional development and more. Fair Trade Practice, Made in Cambodia Removable wristlet strap makes this a fun and useful accessory. Features a zip closure and flower detail. Available in a variety of colors. Measures 6.7”H x 3.9”W. Fits iPhone 6 and 6+. Fair Trade Practice, Made in Cambodia Protect your tablet against bumps and bruises with this handcrafted sleeve made from fishing and construction netting under fair labor practices in Cambodia. Available in a variety of colors. TABLET 8”W x 10”H. MINI TABLET 9.4”W x 6”H. TABLET SLEEVE WITH PIPING SMA-TABLETNEW Fair Trade Practice, Made in Cambodia Protect your tablet against bumps and bruises with this handcrafted sleeve made from fishing and construction netting with constrast piping with outside pocket. Under fair labor practices in Cambodia. Available in a variety of colors. Measures 8”W x 10”H. Fair Trade Practice, Made in Cambodia This padded computer sleeve is handcrafted by Cambodian artisans from fishing and construction netting. Available in a variety of colors. 13” SLEEVE 13.5”L x 10.2”H. 15” SLEEVE 16” x 11.25”. Fair Trade Practice, Made in Cambodia This functional and sturdy laptop bag fits a 13.5” computer/notebook. Features numerous compartments and an adjustable/removable strap. Available in a variety of colors. Measures 14”L x 10”H x 2.3”W. Fair Trade Practice, Made in Guatemala Detailed black brocade adorns our Adela pouch. Padded to protect your tablet, with a zippered opening. Measures 8.5” x 6.5”. MG-HAV13 Fair Trade Practice, Made in Guatemala You get both style and protection with this 13” computer sleeve handcrafted in Guatemala from black and natural heather foot-loomed fabric. Leather zipper pull. Measures 12”H x 15”W. Who: #1 Internet search engine firm specializing in Internet-related services and products. â&#x20AC;&#x2039; Need: Unique, fun retail items that supported the brand and communicated their commitment to corporate social responsibility.â&#x20AC;&#x2039; Solution: An embroidered computer sleeve and tote made from fishing and construction netting from HHPâ&#x20AC;&#x2122;s partner in Cambodia. Proceeds provide income to artisans and their families and free daycare and preschool for their children. Fair Trade Practice, Made in Cambodia A sporty backpack for the on-the-go trendsetter. Features a zippered side pocket for a tablet or computer, as well as a front pocket. Available in a variety of colors. Measures 17.5”L x 16.5”H x 4”D. Fair Trade Practice, Made in Cambodia A sporty backpack for the on-the-go trendsetter. Features a zippered side pocket for a tablet or computer, as well as a front pocket. Available in a variety of colors. Measures 13.25”L x 12”H x 2.5”D. Fair Trade Practice, Made in Cambodia A spacious backpack that makes a great companion for any adventure. Features a front outside pocket, inside net pocket, and inside open pocket. Available in a variety of colors. Measures 12”L x 16”H x 6”D. Fair Trade Practice, Made in Cambodia This backpack features two pockets with zipper on both sides and one pocket with a cinch cosure under the flap. Available in a variety of colors. Measures approximately 12.75”L x 10.5”H x 5.5”D. SMA-ENVOY Fair Trade Practice, Made in Cambodia A contemporary messenger bag featuring a zipper detail around the edge of the flap. Also features an adjustable strap and inside zippered pocket. Available in a variety of colors. Measures 15.7”L x 13.4”H x 2.8”D. DERBY BAG SMA-DERBY Fair Trade Practice, Made in Cambodia Functions as a tote and purse with side snaps and wide handles. Side snaps open to fit everything. Measures 12”L x 12”H x 3.5”D. Available in a variety of colors. Fair Trade Practice, Made in Cambodia Mini and durable with inside zippered pocket. Collapses flat. Measures 10”L x 10”H x 5”D. Available in a variety of colors. SMA-CARLYWTASSL Fair Trade Practice, Made in Cambodia A transparent bag used for beach or market bag. Available in a variety of colors. Measures 14”W x 13”H, inside zip pocket 7W”x9H”, straps 9” long. Fair Trade Practice, Made in Cambodia Oversized and durable with wide over-theshoulder handles. Side snaps open to fit everything. Available in a variety of colors. Measures 15”W x 17”H x 7.5”D. Fair Trade Practice, Made in Cambodia This handcrafted tote is water resistant and perfect for everyday wear. Features inside zippered pocket. Available in a variety of colors. Measures 16.5”W x 12”H x 6.5”D. Fair Trade Practice, Made in Cambodia This crossbody bag features an adjustable and removable shoulder strap. Decorated with black piping. Measures approximately 7.5”W x 6”H. Available in a variety of colors. Fair Trade Practice, Made in Cambodia This must-have bag features two outside pockets, two inside pockets, a snap hook for keys, and an adjustable crossbody strap. Available in a variety of colors. Measures 11.8”W x 12.2”H x 3.9”D. Fair Trade Practice, Made in Cambodia Sleek hip bag with inside and outside pockets. Adjustable strap to be worn cross body or around waist. Available in a variety of colors. Measures 7.75”W x 9.5”H. Fair Trade Practice, Made in Cambodia Keep travel documents and important papers together in this stylish pouch. Features a snap closure and 2 zippered pockets. Available in a variety of colors. Measures 9.25"L x 5.25"H folded. Fair Trade Practice, Made in Cambodia A great organizer, this carryall has dual zippered sections and a side handle. Top closure. Available in a variety of colors. Measures 9.4"L x 5.5"H.
Fair Trade Practice, Made in Cambodia This handcrafted folding wallet features three card slots, an ID window, and a key ring. Outside slot for additional cards. Available in a variety of colors. Measures 3.25"W x 4.75"H.
Fair Trade Practice, Made in Cambodia A classic folding wallet with slots for cards and bills. Available in a variety of colors. Measures 4.7"L x 3.5"H.
SMA-COMPASS Fair Trade Practice, Made in Cambodia Fun and practical pouch is perfect for organizing and storage. Features top and side zippers. Handmade in Cambodia from construction netting. Measures 9”W x 5.5”H. Fair Trade Practice, Made in Cambodia Zippered change purse with key chain made from fishing and construction netting. Available in a variety of colors. Measures 3.75"L x 3"H.
GARMENT BAG SMA-GARMENT Fair Trade Practice, Made in Cambodia This garment bag is a travel essential, great gift, durable, stylish and socially responsible. Features a sturdy zipper and handles, soft and breathable material, and is very lightweight. in Measures 40”H x 22”W x 3”D. Fair Trade Practice, Made in Cambodia This is the perfect day trip or travel bag. Features a zippered pocket outside, one open pocket inside, separate shoe compartment and adjustable shoulder strap. Measures 18”W x 14”H x 7”D. Fair Trade Practice, Made in Cambodia A spacious, structured bag featuring a top zipper, handles, and an adjustable shoulder strap. Includes 4 inner pockets and 2 outer ones. Available in a variety of colors. Measures 17”L x 13”H x 7.9”D. Fair Trade Practice, Made in Cambodia A medium duffel bag featuring a front outside pocket, handles, and removable shoulder strap. Available in a variety of colors. Measures 16"L x 12"H x 9.4"D.
LARGE WEEKEND TRAVEL BAG SMA-WKEND-L Fair Trade Practice, Made in Cambodia A large duffle bag suitable for weekend trips or longer getaways. Features a removable shoulder strap. Available in a variety of colors. Measures 18.1"L x 10.2"H x 11.8"D.
Fair Trade Practice, Made in Cambodia Fashionable, fun and practical messenger bag that you’ll use for work, travel and more. Features one open pockets and two pockets inside, including one designed to hold a laptop. Also has a hook for keys and adjustable shoulder strap. Handmade in Cambodia from construction netting. Measures 13”W x 10”H x 5”d. Fair Trade Practice, Made in Cambodia This spacious and waterproof case is great for storing your essential toiletries. Available in a variety of colors. Measures 9"L x 6"H x 3.75"D.
Fair Trade Practice, Made in Cambodia Keep your tote or purse organized with this vanity case made from fishing and construction netting. Available in a variety of colors. Measures 10.2"L x 5.9"H x 3"D.
Fair Trade Practice, Made in Cambodia This versatile and indispensable set consists of our four transparent zippered portfolios that are perfect for organizing home or office items, cords, makeup, travel goods and more. Handmade in Cambodia from construction netting. Available in a variety of colors. Fair Trade Practice, Made in Guatemala This roomy case is handcrafted from handwoven herringbone fabric and black leather. Features a water resistant lining and leather zipper pull. Made from 100% cotton and leather. Measures 10”L x 6”W x 4”H. Fair Trade Practice, Made in Guatemala This gorgeous weekend bag features handwoven traditional stripes, leather handles, and 3 pockets. Accented with a red macramé tassel. Made from 100% cotton and leather. Measures 14"H x 17"W x 8"D.
Fair Trade Practice, Made in Guatemala Handcrafted in Guatemala from footloomed fabric. Features leather handles with detachable fastener, adjustable strap, and multiple pockets. Measures 12"H x 17"W x 8"D.
Who: An international online advertising company that brings advertisers and media together. ​ Need: A high-quality and socially responsible case to fill with company logoed promotional items. These kits were created to be corporate giveaways. ​ Solution: A green zippered portfolio with white embroidery from HHP’s partner in Cambodia. Proceeds provide income to artisans and their families and free daycare and preschool for their children. Fair Trade Practice, Made in Cambodia Perfect for cards and storage, this zippered pouch made from construction netting has a handy keychain attachment as well. Measures 5” x 3.5”. G U AT E M A L A Our fair trade non-profit partner has a mission to transform the lives of women. They create beautiful and thoughtfully designed accessories using traditional local weaving techniques that not only have the ability to transform an outfit, they can empower an entire community of indigenous women. A single thread is stronger when woven with many others and through their non-profit model, they strengthen communities of women weaving various support opportunities into a program focused on financial independence to overcome poverty. Savings and loan support (income and access to equipment through microloans), education (financial literacy, business development, self-esteem and family health and nutrition), and market access into a program focused on financial independence to overcome poverty. Fair Trade Practice, Made in Guatemala This bag features handwoven stripe brocade, this stylish carryall features handwoven traditional stripes, leather handles, an inner pocket with leather detailing, and is accented by detachable tassels. 100% cotton. Comes in Gray and White or Black and White. Measures 14”L x 16”H x 5”D. Fair Trade Practice, Made in Guatemala This gorgeous weekend bag features handwoven traditional stripes, leather handles, and 3 pockets. Accented with a red tassels. Made from 100% cotton and leather. Measures 14”H x 17”W x 8”D. Fair Trade Practice, Made in Guatemala Handcrafted in Guatemala from footloomed fabric. Features leather handles with detachable fastener, adjustable strap, and multiple pockets. Measures 12”H x 17”W x 8”D. MG-MKUP-ARUBA Fair Trade Practice, Made in Guatemala This handsome makeup clutch is handcrafted in Guatemala from handwoven brocade fabric. Features a zippered closure with decorative pompom. Made from 100% cotton. Measures 6”H x 11”W. Who: Indiebo, Bogotá Independent Film Festival in Columbia Need: A unique, branded item to be given away to participants, including directors, producers and actors. ​ Solution: Our partner handcrafted a custom woven bag featuring the eye image from the festival’s logo. The bags were all handwoven and represent the ancestral art of the indigenous Wayuu culture, living in the state of La Guajira, Colombia. By knitting together threads, these products unique communities. Fair Trade Practice, Made in Columbia This colorful and stylish clutch is handmade by the women knitters of the indigenous Wayúu tribe in Colombia. Each bag is an unique work of art, and the fascinating designs use vibrant colors, unique designs, and complex knitting techniques inspired by the elements of nature that surround the knitters’ every day lives. SUSU-BUCKET Fair Trade Practice, Made in Columbia This colorful and stylish bucket bag is handmade by the women knitters of the indigenous Wayúu tribe in Colombia. Each bag is an unique work of art, and the fascinating designs use vibrant colors, unique designs, and complex knitting techniques inspired by the elements of nature that surround the knitters’ every day lives. Bag height 10.6”, Plate Diameter: 8.7”, Strap 45”. Fair Trade Practice, Made in Columbia This colorful and stylish tote is handmade by the women knitters of the indigenous Wayúu tribe in Colombia. Each bag is an unique work of art, and the fascinating designs use vibrant colors, unique designs, and complex knitting techniques inspired by the elements of nature that surround the knitters’ every day lives. Height: 12”, Plate Diameter: 12”, Two Straps: 19.7” each. SMA-TRANSFER Fair Trade Practice, Made in Cambodia This is the perfect day trip or travel bag. Features a zippered pocket outside, one open pocket inside, separate shoe compartment and adjustable shoulder strap. Measures 18”W x 14”H x 7”D. MG-HAV13-CORD Fair Trade Practice, Made in Guatemala You get both style and protection with this 13” computer sleeve handcrafted in Guatemala from black and natural heather foot-loomed fabric. Leather zipper pull. Measures 12”H x 15”W. At the 1eleven by HHP™ workshop, individuals from underserved and overlooked communities in Chicago who face barriers to employment are hired through the work development program at Cara and onboarded to produce beautiful spa goods. They are quickly cross-trained in the 1eleven® Job Creation and Career Program to learn multiple facets of HHP’s business and mentored in a specific professional track. 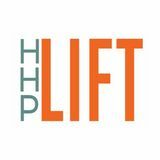 Our goal is to provide a career path at HHP and beyond. Fair Wage, Made in the USA A 1.25 oz. bar of hand-poured, fresh-scentedaloe soap. Available in Sea Salt, Lavender, Citrus Zest, and Mint Tea. Fair Wage, Made in the USA A 4 oz. bar of hand-poured, fresh-scented-aloe soap. Available in Sea Salt, Lavender, Citrus Zest, and Mint Tea. Fair Wage, Made in the USA Sample and indulge in each of our crisp, botanical scents with this aloe soap gift set. Packaged in an elegant white box, the set is ready to personalize, gift - or just pamper yourself. Soaps are handcrafted with aloe and fragrance oils. Fair Wage, Made in the USA Each eco-friendly gift set contains two glass votives. Presented in a white gift box. Each 2 oz. candle has an approximate burn time of 15 hours. Available in Sea Salt, Lavender, Citrus Zest, and Mint Tea. Fair Wage, Made in the USA Enjoy the serenity offered by the flicker of our 8.5 oz. clean-burning soy wax candle. Approximate burn time: 40 hours. Available in Sea Salt, Lavender, Citrus Zest, and Mint Tea. Fair Wage, Made in the USA A 2 oz. glass votive made from clean-burning soy wax. Approximate burn time: 15 hours. Available in Sea Salt, Lavender, Citrus Zest, and Mint Tea. Fair Wage, Made in the USA A 2 oz. glass votive made from clean-burning soy wax. Approximate burn time: 8 hours. Available in Sea Salt, Lavender, Citrus Zest, and Mint Tea. Fair Wage, Made in the USA Set includes 2 oz. aloe bath melts, 2 oz. Pacific Sea soaking salts, and a 2 oz. eco-friendly soy wax candle. Great for traveling! Available in Sea Salt, Lavender, Citrus Zest, and Mint Tea. Fair Wage, Made in the USA This soap duo contains two 3.5 oz. bars of aloe soap. Available in Sea Salt, Lavender, Citrus Zest, and Mint Tea. Fair Wage, Made in the USA This soap trio contains three 4 oz. bars of aloe soap. Available in Sea Salt, Lavender, Citrus Zest, and Mint Tea. 111-SPARKBAG Fair Wage, Made in the USA Enjoy the serenity offered by the flicker of our 11 oz. clean-burning soy wax candle. Packaged in a sturdy, zippered travel pouch. Available in Sea Salt, Lavender, Citrus Zest, and Mint Tea. Fair Wage, Made in the USA Presented in a rounded zippered pouch, this set includes one 4 oz. jar of Pacific Sea soaking salts, one 4 oz. jar of handmade aloe bath melts, and a 4 oz. eco-friendly soy wax candle. Available in Sea Salt, Lavender, Citrus Zest, and Mint Tea. Fair Wage, Made in the USA A beautiful assortment that includes 1-8 oz bath salt, 1-8oz bath melt, 1 aloe soap and two votives (with custom box). All packaged in a handcrafted bicycle spoke Joy bowl. Available in Sea Salt, Lavender, Citrus Zest, and Mint Tea. Two-tone stretch bracelet made with açaí. Customize the large round bead with your company name or logo! Available in a variety of colors. One size fits all. Two-tone stretch bracelet made with açaí with a tagua charm. Customize the charm with your company name or logo! Available in a variety of colors. One size fits all. Adjustable bracelet made from açaí and braided cord. Customize the large round bead with your compayn name or logo! Available in a variety of colors. One size fits all. F.O.B. : Ecuador Production Time: Depending on quantity, 6-8 weeks. This unique journal is made from upcycled plywood and recycled paper, and can be laser engraved with logo or message. Elastic band closure. Measures approximately 7.5" x 6" x 1.25". This unique journal is made from upcycled plywood and recycled paper, and can be laser engraved with logo or message. Elastic band closure. Measures approximately 5.5" x 4.5" x 1.25". Eco-Friendly, Fair Wage, Made in the USA This elegant mahogany octagon hardwood clock features a white dial with Roman numerals and glass crystal with bezel. One AA battery required; not included. Eco-Friendly, Fair Wage, Made in the USA Contemporary stylewall clock features Arabic numerals and a body made from 30% postconsumer recycled content. One AA battery required; not included. Eco-Friendly, Fair Wage, Made in the USA This attractive wall clock features a dial with Arabic numerals and a body made from 30% post-consumer recycled content. Hanging hardware included. One AA battery required; not included. F.O.B. : Chicago, IL Production Time: 15 business days after artwork is approved. Please call for guidelines for acceptable artwork. 8.5" SQUARE WASHER BOWL HHA-SQUARE Eco-Friendly, Fair Trade Practice, Made in India This square bowl made from recycled iron washers is great for gift baskets. Handmade in India. Measures 8.5" in diameter. PMSmatched powder coating available. Eco-Friendly, Fair Trade Practice, Made in India A bold, recycled oval bowl made from iron washers. Artisans collect iron rings from repair shops and hand-weld each of the nearly 1,000 connection points. Bowl measures 11” in diameter. F.O.B. : Chicago Production Time: Depending on quantity, 4-6 weeks after sample is approved. Shipping Time: Generally 1 week. Eco-Friendly, Fair Trade Practice, Made in India Express your sentiments with a recycled custom metal bowl. The words on each bowl can be completely customized. Handmade by artisans in India using recycled bicycle tire spokes. Measures 14" in diameter. Eco-Friendly, Fair Trade Practice, Made in India Express your sentiments with a recycled custom metal bowl. The words on each bowl can be completely customized. Handmade by artisans in India using recycled bicycle tire spokes. Measures 11" in diameter. Eco-Friendly, Fair Trade Practice, Made in India Express your sentiments with a recycled 7.5â&#x20AC;? custom metal bowl. The words on each bowl can be completely customized. Handmade by artisans in India using recycled bicycle tire spokes. Measures 7.5" in diameter. ILLINOIS Our social enterprise partner in Illinois provides job opportunities for adults with developmental disabilities through the sale of their amazing baked goods. This non-profit facility provides a place for their residents to make a contribution to the community while being as self-sufficient as possible. And itâ&#x20AC;&#x2122;s a wonderful place for visitors, too, providing enriching experiences with people with developmental disabilities at their bakery store, restaurant, and petting zoo. Fair Wage, Made in the USA This super-addictive maple cashew granola contains rolled oats, whole cashews, sliced almonds, coconut, dark brown sugar, maple syrup, vegetable oil & a hint of salt. 4 oz. COOKIES 8 OZ. COOKIES LF-BUTTERJAR4, LF-CHOCOJAR4, LFLEMONJAR4 Fair Wage, Made in the USA Delicious Famous Butter, Chocolate and Lemon Cookies packed in a 8 oz resealable container. Can be sold together or separately. 32 OZ COOKIES LF-COOKIES-32 Fair Wage, Made in the USA Delicious Lemon, Chocolate, Famous Butter or a combo of all three in a 32 oz. container. Perfect for gifts! COOKIE STACK LF-COOKIESTACK Fair Wage, Made in the USA An 8 and 32 oz. jar of Famous Butter, Chocolate or Lemon cookies are the perfect combo! Available as a set, or order all three flavors for a decadent combo pack. TRIO JAR LF-TRIOJAR Fair Wage, Made in the USA 32 oz. jar with all three fabulous cookies: Famous Butter, Chocolate and Lemon cookies. Perfect sampler! Who: AB Bernstein is a leading global investmentmanagement and research firm. Need: A socially responsible table gift at their annual fundraising Gala. This choice of gift showed their commitment to corporate social responsibility. Solution: HHP provided an 8oz reusable container filled with delicious butter cookies packaged in an organza bag. Also included was an insert card explaining the HHP mission and benefits. Proceeds from the cookies provide valuable social programing and opportunities for adults with disabilities. LF-CHOCLUV Fair Wage, Made in the USA Lavish 3 lb. variety collection with toffee, milk & white chocolates, mini turtles, chocolate-covered sandwich cookies, dark chocolate nut bark, cookie bark, nut clusters, & coconut patties. Not available for shipment April-September. Fair Wage, Made in the USA A chocolate loverâ&#x20AC;&#x2122;s dream! 2 lbs. of handmade jumbo chocolate turtlettes, beautifully arranged in a Lambs Farm tin. Not available for shipment April-September. Fair Wage, Made in the USA Treat yourself or friends to 1 lb. of rich, buttery English toffee covered in creamy milk chocolate and topped off with fresh pecans. Packaged in a signature box. Not available for shipment April-September. Fair Wage, Made in the USA Two winter favorites packaged together in a signature box. A half-pound of minty dark chocolate peppermint bark and a half-pound of buttery English toffee. Not available for shipment April-September. Fair Wage, Made in the USA Rich, buttery English toffee, coated in creamy milk chocolate and topped with fresh pecans. Packed in a cello bag with a Lambs Farm sticker as closure. 4 oz. PEPPERMINT BARK LF-BARK-PEP Fair Wage, Made in the USA 4 oz. of minty dark chocolate peppermint bark. Packed in a cello bag with a Lambs Farm sticker as closure. Fair Wage, Made in the USA 4 oz. of dark chocolate pistachio cranberry bark. Packed in a cello bag with a Lambs Farm sticker as closure. F.O.B. : Chicago, IL Production Time: 10-20 business days Not available for shipment in April-September. Fair Wage, Made in the USA 4 oz. of dark chocolate almond bark. Packed in a cello bag with a Lambs Farm sticker as closure. ALMOND SEA SALT BARK LF-BARK-SEA Fair Wage, Made in the USA 4 oz. of dark chocolate almond bark with sea salt. Packed in a cello bag with a Lambs Farm sticker as closure. CASHEW ORANGE BARK LF-BARK-CASH Fair Wage, Made in the USA 4 oz. of dark chocolate cashew orange bark. Packed in a cello bag with a Lambs Farm sticker as closure. Fair Wage, Made in the USA A melt-in-your-mouth favorite. Handmade turtlette combines caramel, pecans and milk chocolate. Packed in a cello bag with a Lambs Farm sticker as closure. 2 oz. LF-TASTYTRIO Fair Wage, Made in the USA Enjoy and share any combination of three of our 2oz. butter, double chocolate or lemon cookies, all packaged in a white gift box. Not available for shipment April-September. Fair Wage, Made in the USA Two favorite preserves in one fabulous gift assortment. Blueberry and strawberry preserves packaged in a small basket. Fair Wage, Made in the USA Chocolate joy! This is a beautiful gift set you for the chocolate lover in your life. Our 8 oz. containers of chocolate covered espresso beans, cherries, cranberries and blueberries are packaged in our joy bowl, which is handcrafted by artisans in India from recycled bicycle spokes. Itâ&#x20AC;&#x2122;s a gift that gives back. Fair Wage, Made in the USA Our hand-welded square washer bowl, made by artisans in India, is packed with four of our 8 oz. treats which you can mix and match. Options include chocolate, sugar or lemon cookies and chocolate covered cherries, espresso beans, blueberries or cranberries. LF-COOKIETRIO Fair Wage, Made in the USA Our hand-welded iron washer bowl, made by artisans in India, is packed with delightful 8 oz containers of chocolate, lemon and butter cookies. LF-MORNINGJOY Fair Wage, Made in the USA Brighten the morning with one our handmade, bicycled spoke JOY bowls filled with 4 oz of coffee, 8 oz of chocolate covered espresso beans and 8 oz container of granola. We can create custom gift baskets: Food, bath & spa, jewelry, and more. Let us create something special for you! HHA-VRCOFFEE Fair Wage, Made in the USA A 4oz. bag of delicious gourmet coffee. The Rags of Honor blend is a medium roast coffee comprised of carefully selected ingredients from Brazil and Ethiopia. Each component is roasted separately and then blended together. Who: A promotional products supplier with a strong belief in the power of personal connections to build lasting professional relationships. Need: A coffee kit with welcoming and unique items that would invite potential clients to have â&#x20AC;&#x153;Virtual Coffeeâ&#x20AC;? with the VP of Business Development. Solution: HHP supplied the 4oz bag of fresh roasted coffee for the kit. Proceeds from the coffee provides direct support to the employment of and assistance for homeless veterans. This includes paying a living wage so veterans can get back to a life that they deserve. F.O.B. : Chicago, IL Production Time: 2-4 weeks depending on quantity. DOG TREATS LF-PUPPY-CC Fair Wage, Made in the USA Get your furry friendâ&#x20AC;&#x2122;s tail wagging with 10oz. of these all-natural dog treats. Handmade in small batches, these healthy snacks are a favorite of cuddly canines everywhere. The 32oz. plastic jar is resealable to keep treats fresh. Who: A U.S. sales and marketing subsidiary of a company that is responsible for the distribution, marketing, sales and service of vehicle company vehicles in the United States. Need: A product for vehicle company retailers eStore for retailers to purchase to give away when customers bring their dogs, or when they have dog-related community events (pet adoptions, etc.). Solution: A reusable plastic container filled with all natural chicken and cheddar dog treats. The treats are handmade in the Chicago area by adults with disabilities. Proceeds provide valuable social programing to them as well as a pathway to being as self-governing as possible. Fair Trade Practice, Made in Cambodia Eco friendly reusable coffee sleeve change lives in an impactful way. Customize with your company name or logo! Made in India. One size fits all. HHA-COFFEEDUO Fair Trade Practice, Made in Cambodia A 4oz bag of delicious gourmet coffee. This medium roast blend is comprised of carefully selected pulped natural Brazil and an elegant washed coffee from Ethiopia. Each component is roasted separately and then blended together. 1 Upcycled Cotton Coffee Sleeve Eco friendly reusable coffee sleeve change lives in an impactful way. Customize with your company name or logo! Made in India. One size fits all. Fair Wage, Made in the USA Delicious chocolate covered treats packaged in a sealable container. These chocolate covered blueberries, cranberries, espresso beans and cherries can be packaged together or sold individually. Not svsilsble for shipment in April-September. 2 OZ TREATS: $6.00 min. 10 4 OZ TREATS: $8.00 min. 10 8 OZ TREATS: $13.00 min. 10 VINYL LABEL	Contact for set up, run charge, and price on in-hands sample. SMA-KEYZIP Fair Trade Practice, Made in Cambodia Perfect for cards and storage, this zippered pouch made from construction netting has a handy keychain attachment as well. Fair Trade Practice, Made in Cambodia This zippered case will keep your favorite pair of sunglasses in top condition. Padded. Available in a variety of colors. Measures 2.5"L x 6"H x 1"D.
SMA-COMP15 Fair Trade Practice, Made in Cambodia This padded computer sleeve is handcrafted by Cambodian artisans from fishing and construction netting. Available in a variety of colors. Measures 16” x 11.25”. SMA-LAPTOP Fair Trade Practice, Made in Cambodia This functional and sturdy laptop bag fits a 13.5” computer/notebook. Features numerous compartments and an adjustable/removable strap. Available in a variety of colors. Measures 14”L x 10”H x 2.3”W. Fair Trade Practice, Made in Cambodia 2 oz melt, soak and soy votive in an reusable gusseted bag handmade in Cambodia from construction netting. Available in Lavender, Mint, Sea Salt, and Citrus. Fair Trade Practice, Made in Guatemala A medium duffel bag featuring a front outside pocket, handles, and removable shoulder strap. Available in a variety of colors. Measures 16”L x 12”H x 9.4”D. Who: A multinational information technology company that provides a wide variety of hardware components as well as software and related services to consumers, small, medium-sized business and large enterprises. Need: Corporate social responsibility is a core value of this information technology company. It was important that their decision result in a positive impact on the environment and the community at large. They needed a socially responsible branded weekend bag for travel that would reflect this commitment to social good. Solution: A large gray weekend travel bag and a laptop sleeve with black embroidery of the companyâ&#x20AC;&#x2122;s logo, both made from fishing and construction netting. Proceeds helped to provide income to artisans and their families and free daycare and preschool for their children. Fair Trade Practice, Made in Cambodia Protect your tablet against bumps and bruises with this handcrafted sleeve made from fishing and construction netting under fair labor practices in Cambodia. Available in a variety of colors. Measures 8”W x 10”H. Fair Trade Practice, Made in Cambodia This padded computer sleeve is handcrafted by Cambodian artisans from fishing and construction netting. Available in a variety of colors. Measures 16” x 11.25”. Fair Trade Practice, Made in Cambodia This padded computer sleeve is handcrafted by Cambodian artisans from fishing and construction netting with contrast piping and outside pocket. Available in a variety of colors. Measures 16” x 11.25”. MEDIUM WEEKEND TRAVEL SMA-WKEND-M Fair Trade Practice, Made in Cambodia A medium duffel bag featuring a front outside pocket, handles, and removable shoulder strap. Available in a variety of colors. Measures 16”L x 12”H x 9.4”D. Fair Trade Practice, Made in Cambodia A large duffle bag suitable for weekend trips or longer getaways. Features a removable shoulder strap. Available in a variety of colors. Measures 18.1"L x 10.2"H x 11.8"D.
SPORT PACK SMA-SPORT Fair Trade Practice, Made in Cambodia A spacious backpack that makes a great companion for any adventure. Features a front outside pocket, inside net pocket, and inside open pocket. Available in a variety of colors. Measures 12”L x 16”H x 6”D. Fair Trade Practice, Made in Cambodia Fashionable, fun and practical messenger bag. Features one open pockets and two pockets inside, including one designed to hold a laptop. Also has a hook for keys and adjustable shoulder strap. Handmade in Cambodia from construction netting. Measures 13”W x 10”H x 5”d. CUSTOMIZATION	Contact for set up, run charge, and price on in-hands sample.